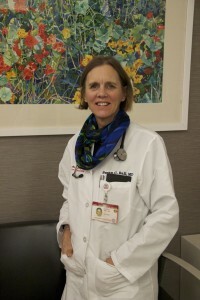 I am Dr. Susan Ball, and I take care of people with HIV and AIDS. When I began working in this field in 1992, we knew what caused AIDS, how it spread and how to avoid getting it, but we didn’t know how to treat it or how to prevent thousands of our patients from dying. 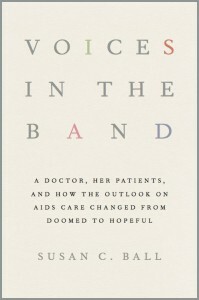 What’s more, the stigma that surrounded AIDS patients from the very beginning of the epidemic in the early 1980s was still harsh and isolating. Now, more than 20 years later, so much has changed. Instead of an inevitable death sentence, HIV is currently considered a chronic, yet treatable, illness. During this time, I found myself wanting to write about my patients and about the special care we were able to provide them. I wanted to write about the vast changes in AIDS care that took place in the 1990s, that transition from being incurable to being manageable, from being considered a fatal disease to being viewed much like diabetes or high blood pressure. Every day in the early years, we saw an amazing array of brave, depraved, strong, entitled, admirable, self-centered, strange, funny, daring, gifted, exasperating, wonderful and sad patients. And more. And every day, they brought us the stories of their lives. In Voices in the Band, their stories can now be heard.